The interior of the London’s Royal Automobile Club. 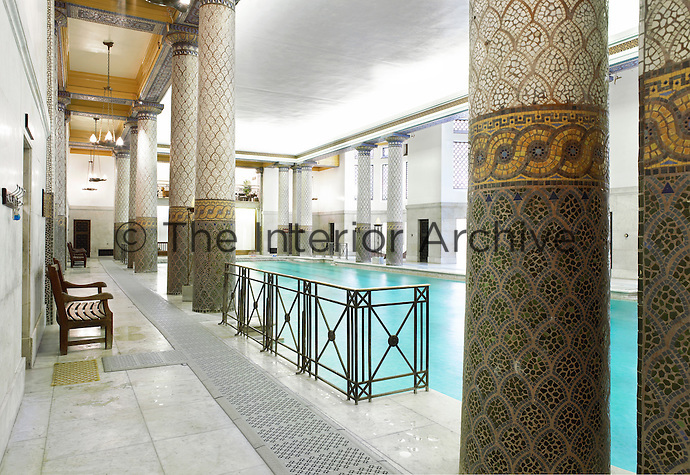 An original feature of the historic structure, the pool 26 meters long and has a deck done in Sicilian white marble. The Doric columns are inlaid with multicolored mosaic patterns combining Greek sophistication with Roman-inspired splendor.